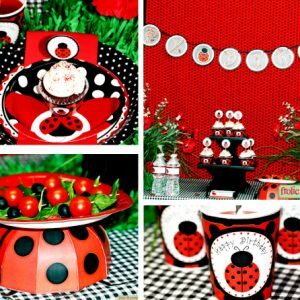 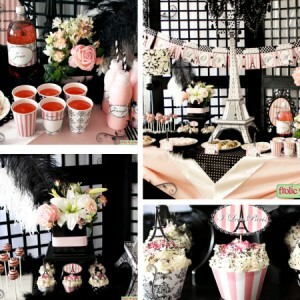 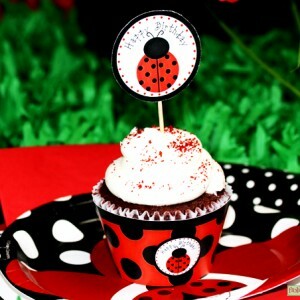 With polka dots and gingham, this adorable ladybug party is exactly what you’ve been looking for! 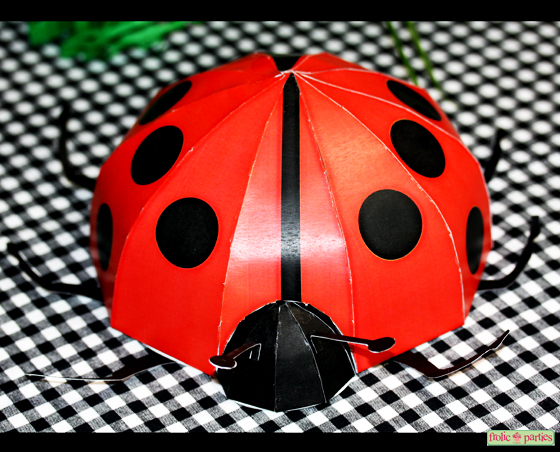 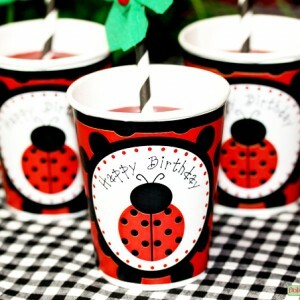 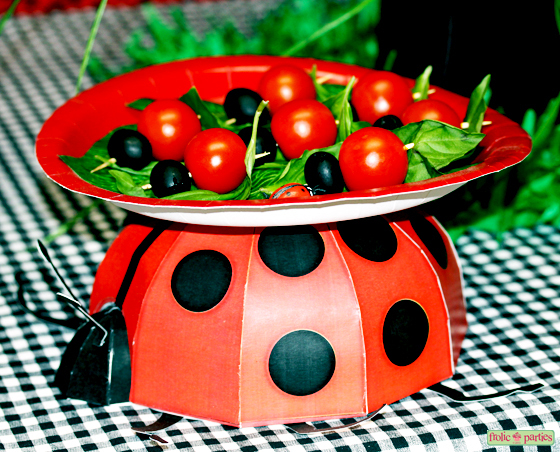 Make your ladybug party complete with this cute little lady bug centerpiece. 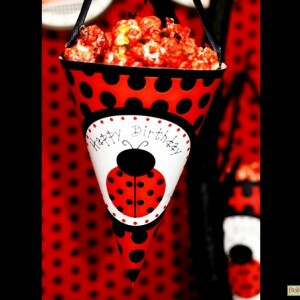 It can also be used as a serving tray (paper plate) holder.